Dodsland and District Credit Union Limited is proud to offer a full selection of loan products to meet the needs of our members. Our rates are always competitive and every loan is open with no prepayment charges whatsoever. This means you are able to pay down any of your loans with no charge or penalty incurred. We also offer creditor insurance that includes life and disability insurance. These loans can be used to finance vehicle purchases, recreation vehicle purchases, household expenses, vacations, or any other personal expense. If you are enrolled in an accredited post secondary institution you are eligible to apply for a student loan. The loan can be structured as a loan or line of credit based on your needs and preference. If you would like to maximize your RRSP contributions for the year and do not have the funds readily on hand, we can help. Repayment terms are flexible and tailored to your individual needs. Mortgage loans are available for consumer, agricultural, or commercial purposes. The loans can be used for purchases, renovations, expansions, constructions, or for any other need you may have. 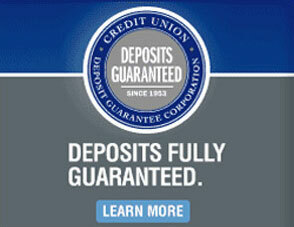 The Credit Union offers a variety of repayment options and competitive interest rates. These loans can be for equipment purchases or repairs, livestock purchases, farm improvements, short term operating expenses, annual recurring expenses, or any of your financing needs. Whether you are looking to start up a business, expand an existing business, purchase new equipment, repair existing equipment, or make improvements the Credit Union is here to help. Operating loans are available to cover any shortfalls that may occur as a natural course of business. These loans are primarily for the day to day expenses that may not be timed exactly with your revenue stream. The loan is attached directly to your chequing account and interest is only charged on the minimum monthly balance and due monthly. The funds are advanced up to your credit limit whenever you need them and each deposit is credited back towards the outstanding amount. Lines of credit are an excellent product to cover the shortfalls that may occur as a natural course of business and can also be used as overdraft protection on your personal account.